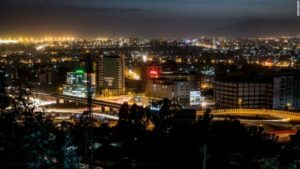 Ethiopia’s economy is predicted to grow by 8.5% this year. The figures signal continued economic expansion following a long period of impressive growth. In the last decade, Ethiopia has averaged around 10% economic growth, according to the IMF. To boost the economy, the country is pursuing a number of large-scale infrastructure projects, including the Grand Renaissance Dam and a railway network. “(Ethiopia) has had a very high growth rate and I think that’s a result in large part of a very concentrated effort by the government to boost industrial production and manufacturing,” said Vijaya Ramachandran, an economist at the American think tank Center for Global Development (CGD). Ramachandran, along with three academics, released a report suggesting Ethiopia can follow in China’s footsteps, and become a destination for low-wage manufacturing jobs. 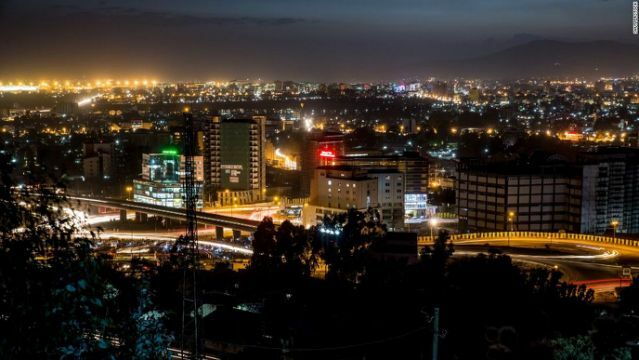 However, despite sustained economic growth, in the past few years Ethiopia has experienced increasing unrest from Oromo groups in the Oromiya region. According to human rights groups, the government has suppressed basic rights and freedoms. New Prime Minister Abiye Ahmed was sworn at the beginning of April, signaling an intent to ease tensions. Ivory Coast is expected to be the second fastest growing economy in the region at 7.4%. Rwanda’s estimated economic growth is 7.2%, and the West African country Senegal is projected to have 7% growth. The data reveals that Ghana, which was previously forecast as the fastest growing economy in Sub-Saharan Africa in October 2017, at 8.9%, slowed in its predicted growth to 6.4%. Last year, a reported surge in oil and gas production helped propel the country’s economy. Nigeria, Africa’s largest economy, is predicted to grow by 2.1%, an increase from 1.9% forecast in October 2017. “They’ve updated it to 2.1%. However, they have emphasized the risks. The falling commodity prices and imbalances that are to arise because of the elections,” Bismarck Rewane, a Nigerian economist, told CNN. South Africa’s predicted growth stands at 1.5%. Long term, according to a report from the World Bank in 2016, the proportion of the African population in extreme poverty has declined, but the overall number has increased as the continent’s population expands. Growth across the whole region is forecast to average 3.4%, below the total world growth figure of 3.9%.